Greenland is the world’s largest island and its most sparsely populated country. It is part of the Danish Commonwealth; its government is mostly autonomous although Denmark oversees certain aspects such as the military and foreign affairs. Greenland has an excellent system of wildlife management, and its wildlife is thriving. Muskox and caribou/reindeer are the main draws for hunters. Trophy quality for muskox is outstanding, with many older bulls qualifying for the Boone and Crockett record book. Hunters will typically see many muskox during the course of a hunting day. In addition, there are plenty of caribou on the island, including many large-antlered, mature bulls. No visa is required for citizens of the United States or Canada who are visiting as tourists for a stay up to 90 days. For more information on visa requirements, see https://greenland.visahq.com. 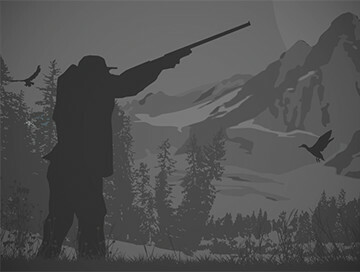 Hunts may be done with rifles or archery equipment, and bringing your own gun or bow into Greenland is not a problem. Most outfitters recommend .30-caliber rifles with shot distances averaging 50 to 150 yards for muskox and 100 to 300 yards for caribou. 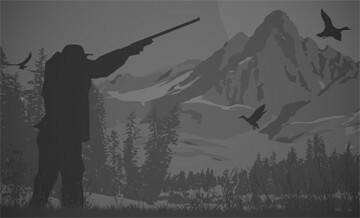 Hunters may be required to present a valid hunting license and/or proof of hunting certification from their home country. Check with your outfitter for specifics, or apply in advance for a firearm permit here. Flights into Greenland generally connect through Iceland; hunters arrive in Narsarsuaq, Greenland. Your outfitter should arrange for someone to meet you and assist with firearms permits and transport to the hunting area or a hotel. Most native Inuits in Greenland speak Kalaallisut and Danish, but many speak English as well. Summer muskox hunts in southern Greenland occur during the months of July, August and September. Caribou/reindeer are generally not hunted until after August 1. Hunts may be conducted on foot from inland camps, but others are done by cruising the shoreline in a 30- to 40-foot boat until game is spotted. Then, hunters go ashore with a guide in a small, open boat to evaluate and stalk the animal. Because muskox are generally found close to shore, very little physical effort is required on these hunts. Caribou hunts, as well as inland muskox hunts, require a lot more climbing and hiking, especially early in the season. In the north and west of Greenland, more traditional winter muskox and caribou hunts are offered, with transportation via snowmobile, ATV, or dogsled. Typically trophies are skinned and caped and then frozen until the end of the hunting season, usually in October. At that time, they are shipped to Denmark, where the skulls are cleaned and the hides are prepared for export to the hunter’s home country. Classical stalking hunt for Reindeer in the biggest and coldest island in the world! We offer a 4 days Caribou hunt near Kangerlussuaq, West Greenland. The hunt bring the hunters into the real arctic wilderness, this is a hunting adventure in the worlds “Last Frontier”. Our hunting camp is remote and close to the magnificent Ice Cap. The camp is equipped with all necessary gear and placed in the center of Caribou land. We trek to the caribou herds and spot the strong bucks and then the hunt begins. We trek light and if necessary we put up a flycamp for the night, normally we have time to trek back to the base camp. September Is a good time for Caribou hunting because of the upcoming rutting season and because the Caribou has cleaned velvet off the antlers. Program: Day 1: - Arrival to Kangerlussuaq - Outfitter receives you and makes an introduction to the local area. - Transport to tent camp. - Caribou stalking hunt. - Overnight stay at hunting camp. Day 2-3: - Spot and stalk Caribou hunt. - Overnight stay at hunting camp. - Small game hunting (if possible). Day 4: - Caribou stalking hunt. - Return to Kangerlussuaq. - Overnight accommodation at hotel Day 5: - Departure from Kangerlussuaq.